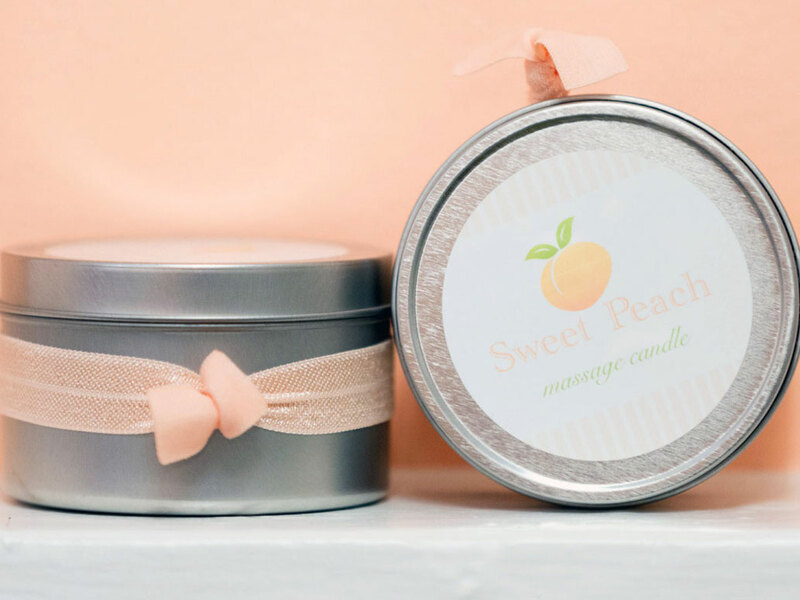 Our travel size all-natural soy candle is the perfect gift for someone special. Smells like peach and can be used as moisturizer and lube. 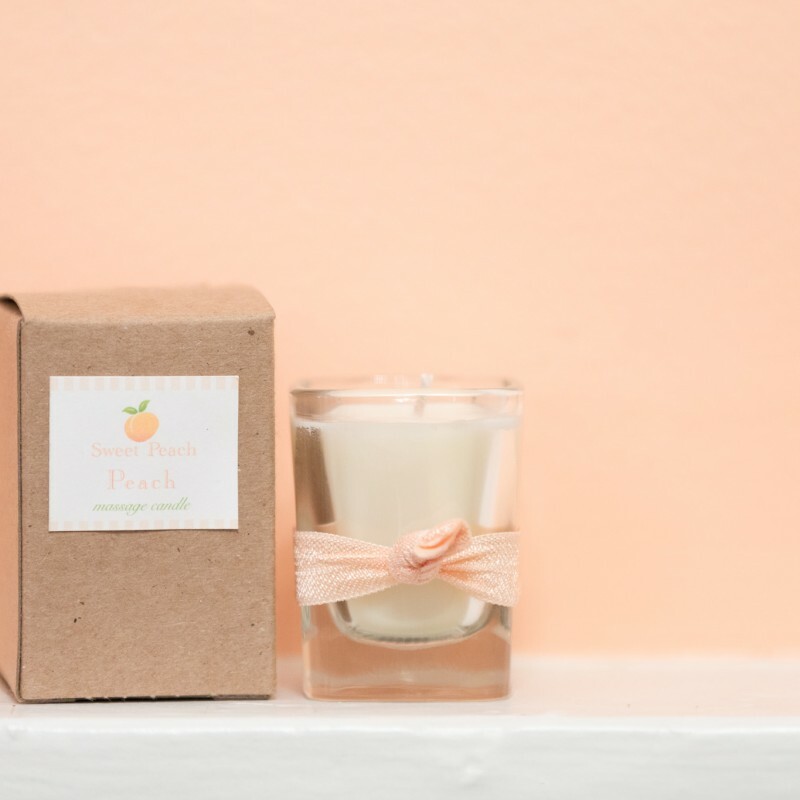 The enhanced soy candle comes in an aluminum container with eco-friendly cotton wicks and a peachy colored elastic hair tie. Our signature travel size, all-natural soy candle smells like delicious peach. 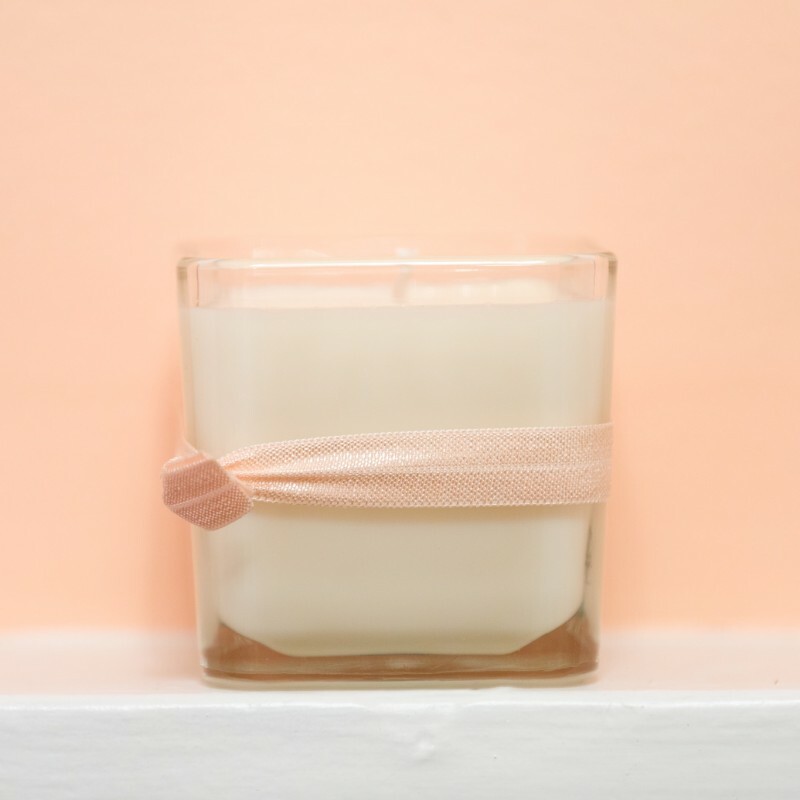 Lotion candles are container candles made of soy wax with a low melting point combined with skin-softening and nourishing butters and oils, including shea, cocoa, and avocado. These candles are actually a solid form of massage oil that melts at slightly about body temperature. The melted wax can be poured directly onto and massaged into the skin.